As with the other frames in Armattan’s FPV lineup, the Gecko is covered by Armattan’s lifetime warranty. If you break part of this frame, just cover shipping and we’ll send you a replacement. That’s our guarantee. The Gecko is the latest addition to Armattan’s family of mini-freestyle frames. Designed around the best principals that brought the Japalura and the Rooster to the front of their fields, this frame gives you the best protection and quality that the multirotor kingdom has to offer. 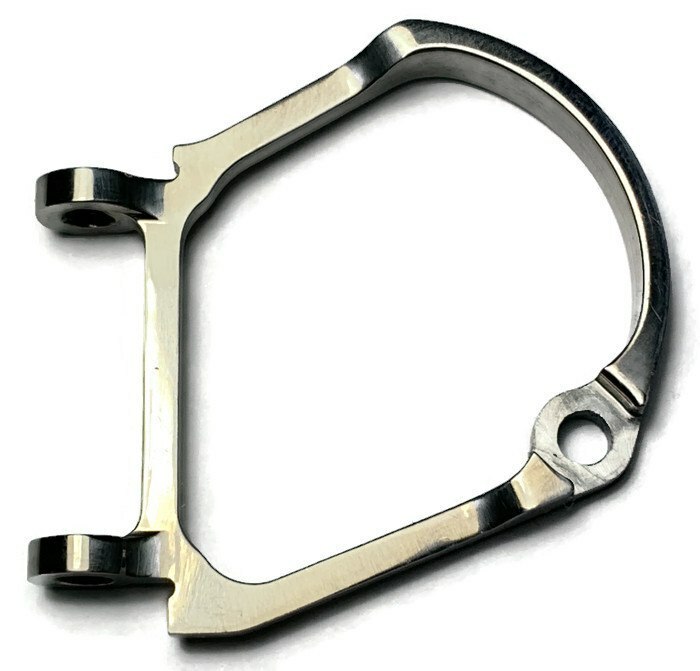 The cage is cut with 6 axis titanium milling. This is a first for Armattan, and it gives the head of this baby a smooth, svelte expression. The aluminum camera saver is a new mounting system designed to protect your camera even in the most crushing of cage crashes. And that’s even more important for this frame, because it was designed to safely guard any 19mm micro cam on the market: SD or HD. The stack mounting system is a fresh take on providing options for pilots. You no longer have to choose between an M2 or an M3 board because the Gecko offers provisions for both. While the 20×20, M2, forward stack was designed to be used for a mini HD split camera board (such as the Runcam Split Mini or Caddx Turtle), you can slap any board you want in there. The rear 20×20, M3 mounting holes will be there for your FC, ESC, VTX, or whatever else is left. And with the familiar 22mm deck height you’ll find that your batteries are safely out of the line of fire of your props, but are also low enough to bring the centre of gravity back down towards your prop-line. 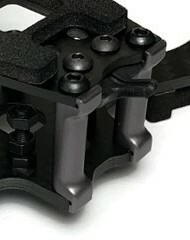 The tail provides the quality mounting options that Armattan is known for. A rubber VTX antenna guide channels thinner gauge antennas (up to 1.8mm) upwards, and out of the way of your props. If that doesn’t suit your fancy, simply use the elongated M3 holes to zip-tie your dongle in the tried-and-true way instead. Lastly, lets put an end to rear-impact delamination. 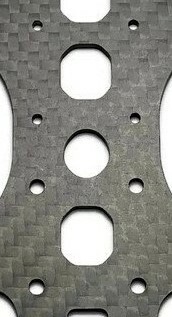 The carbon itself is protected from impacts by the custom Aluminum standoffs.